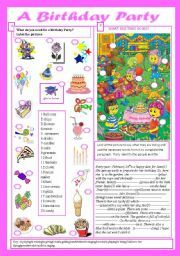 Use the hints given to write a paragraph about your birthday party. 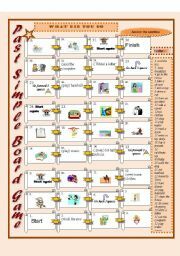 A Board Game: What did you do yesterday? 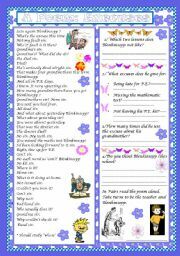 This is a speaking activity to review past simple. 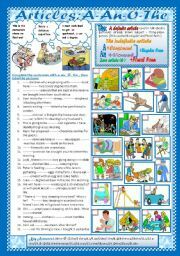 Make a sentence in the past simple using the bracketed verb you land on. 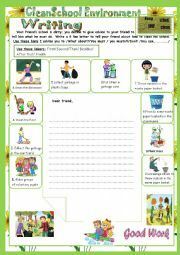 To write a letter to a friend to help him have a clean school environment. 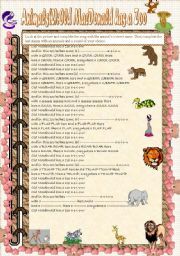 Listen to the song,look at the pictures and name the animals . Then complete the last stanza with a sound and an animal of your choice. Then sing the song. 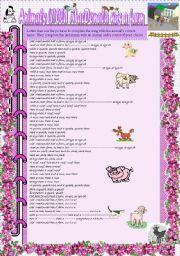 Students look at the pictures and write the animal�s name to complete the song .then complete the last stanza with an animal and a sound of their choice . Sing it with the rhyme of "Old Mac Donald has a farm. the first task is to match words with pictures. 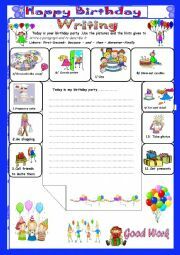 In task two, pupils have to complete the paragraph with the present continuous for the bracketed verbs and the correct name of the items in the picture. Finally they have to identify the people by matching the names and the people and the animals. 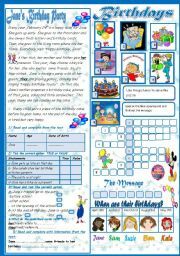 Task one is to match pictures and words then in task 2 complete the sentences about the dates of the people�s birthdays.In Task 3 pupils have to complete a crossword.